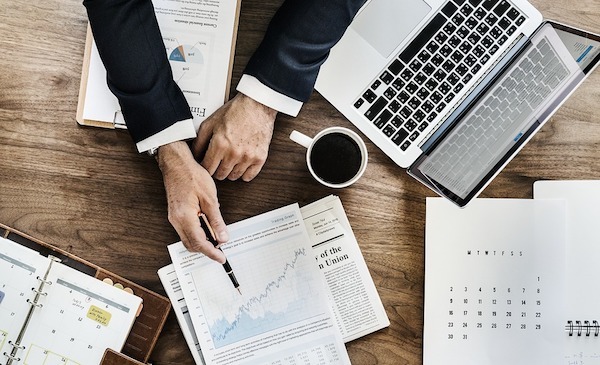 If you’re in business or involved in the financial side of running one, such as working in bookkeeping, there are certain accounting documents that are fundamental to monitoring a company’s financial position. A knowledge of these documents and what they say about the financial health of a business is very worthwhile for anyone involved in running or administering a company – not just accountancy personnel. ‘Official’ finance record keeping has to be carried out using specific financial documents, and supporting paperwork has to be undertaken so that an accountant can calculate the company’s tax liability and submit accounts to the IRS (Internal Revenue Service). So what are the main finance documents to be aware of? This document illustrates and records how much money a company has made or lost in a given period by tracking amounts of money coming in (income) and amounts going out (expenditure). The statement will show the company’s net income position (whether a profit or loss) during the particular accounting period by subtracting expenses and deductions from income through sales and other means such as investments. This is basically a summary of a company’s financial position. It shows what the company possesses in terms of money and other assets such as machinery, property, stock inventory vehicles; indeed anything that has monetary value and that could in theory be sold. This is ‘balanced’ by showing what the company’s liabilities are in terms of money they owe, whether to creditors such as suppliers, the parent company maybe, or perhaps their bank in terms of loan capital. This illustrates the company’s cash position at various times and shows if the company will always have enough cash to continue trading and – if applicable – support any growth plans put in place. Cashflow can rise and fall and may depend on seasonal factors and various other parameters. It provides a valuable financial ‘health check’ for a company and is well worth the owner or those in senior management being conversant with so as to regularly monitor the company’s position. In a nutshell, if more money is coming into a business than is going out it would be described as being in a ‘positive cashflow’ state. Businesses where the opposite is the case – more money going out than coming in whether periodically or on a more regular basis – often need working capital to cover these ‘negative cashflow’ times in the form of a line of credit or a loan. There are various causes of poor cashflow in a business, and it requires careful and regular monitoring as inadequate cashflow can even imperil those businesses that are doing well in terms of sales. The above are the cornerstone documents that accountants base their analysis of a company on and use to prepare reports and conduct tax their tax affairs. They’re well worth learning about for actual or aspiring entrepreneurs, as understanding the financial position of theirs or other businesses will stand them in good stead and help them to talk to an accountant with confidence.